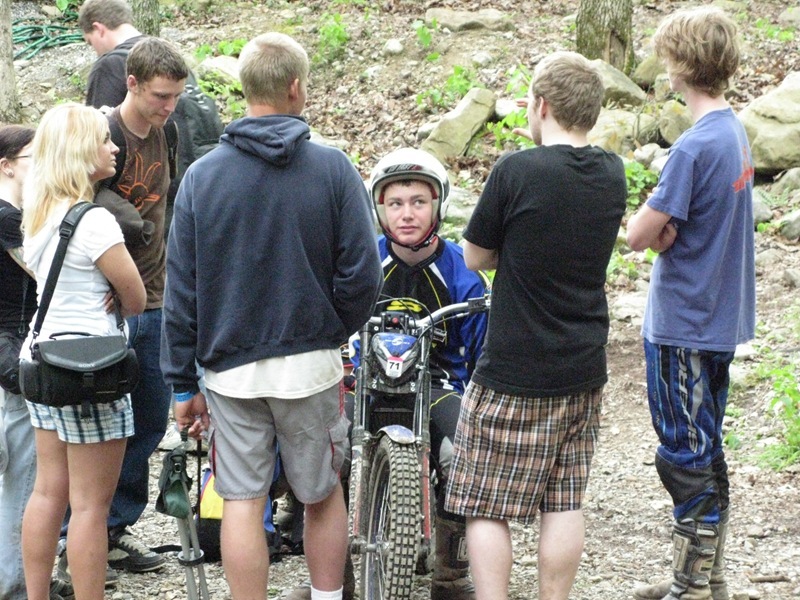 I saw Bill Smage taking a photo of a group of kids standing around Pat Smage after Pat’s 3rd place finish yesterday — at exactly the same time that I was taking the same shot. So I took a photo of Bill with his ever-present camera. 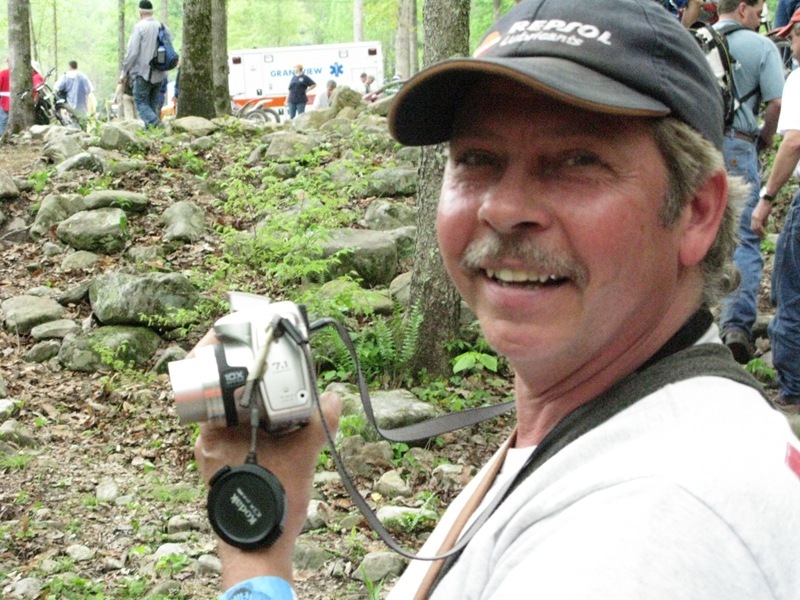 Bill takes more motorcycle trials photos than I do, and that’s not easy. Keep it up, Bill! You’re welcome, Bill. Thanks for supplying the names. FYI, I’ve added the word ‘wild’ to the blog post title.